I’ve already posted about my Orbitz bottle and experience with the failed soft drink (solid?) and I wasn’t going to touch on the subject again. That is, until I found this mail-away form for Orbitz hiding in a box of other junk. This form was on the shelves of Shoppers Drug Mart in 1997. 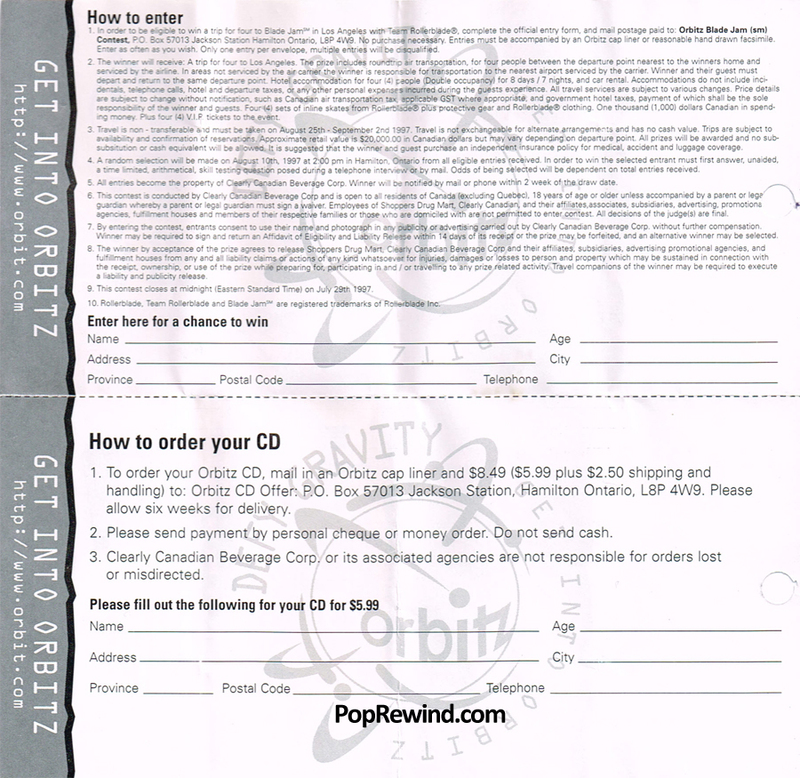 One side of the form advertises the “Orbitz Compilation CD” for only $5.99 (plus $2.50 shipping and handling), featuring 15 great tracks from treblecharger, Leah Androne, and Matthew Sweet. The only downside—you had to pay by cheque or money order. What, no PayPal? The other side of the form is an opportunity. You could have won a trip to Blade Jam in Los Angeles with Team Rollerblade! Whaaaaaat! I do applaud Orbitz for their somewhat early adoption of printing their URL on everything, but it makes me giggle that they include the “http://” part of the address every time. 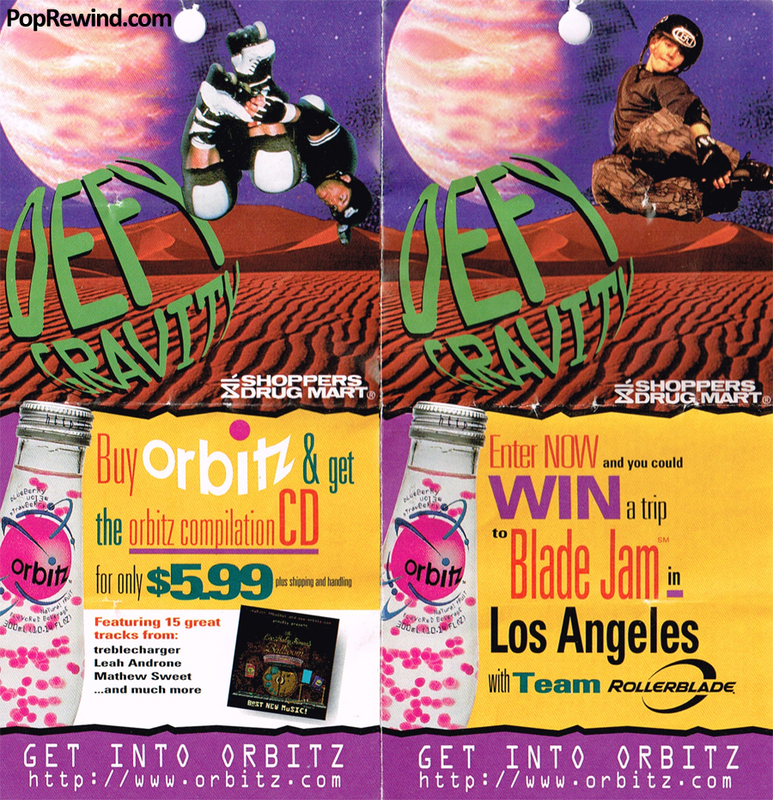 While the contest for Blade Jam ended July 29, 1997, there is no deadline for the CD. Guess who’s dusting off their Sony CDman and jammin’ out to some treblecharger?! Probably one of the tracks. Aw yeah! Rock ‘n’ roll! Did you send away for the Orbitz CD? What are your thoughts? F Yeah the 90s! Oh God, the days of no PayPal make me sick to remember them! When I first became obsessed with Titanic, I sent away for a Heart of the Ocean necklace by mail. It didn’t specify to use a money order or anything, just send payment to this address. I scrounged around for random US dollars in my house for MONTHS and then finally sent away $26. I never did get my necklace. So tragic for a 13 year old! I actually sent away for this CD ….and it is still in my collection. It came with an Orbitz T-shirt that I wore most of that summer. That’s awesome, Darcy! 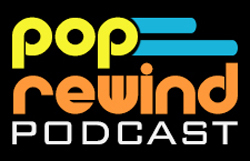 I’d love to see the CD (or even buy it from you if you’re done jammin’ out to it!) Glad it actually existed, and super cool that it came with an Orbitz T-shirt, too! Do you still have the shirt as well?